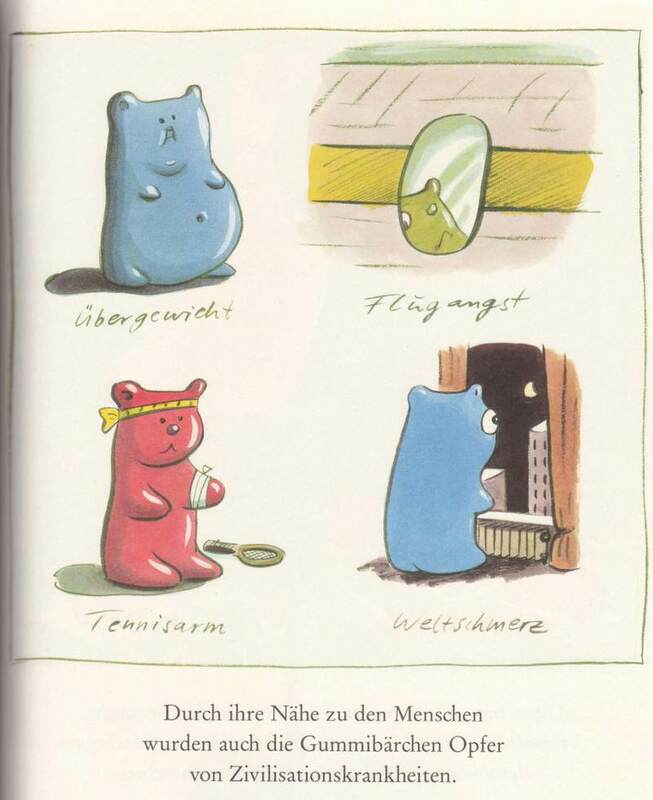 …courtesy of Hans Traxler’s 1992 book "The Life and Times of Gummy Bears," one of the few German comic books to have been translated into English. 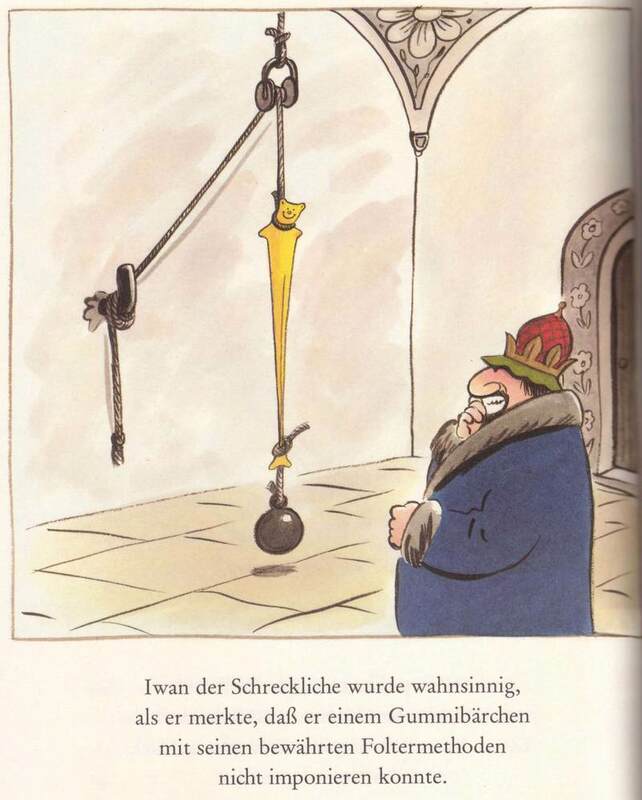 I have the German version, but I’ll translate the captions into English. "Ivan the Terrible went mad when he realized that he could not impress gummy bears with his tried-and-true torture methods." Maybe “Weltschmerz” deseves a ” German Word of the week” post. maybe they will get those great ideas about hanging there dog or cat…….